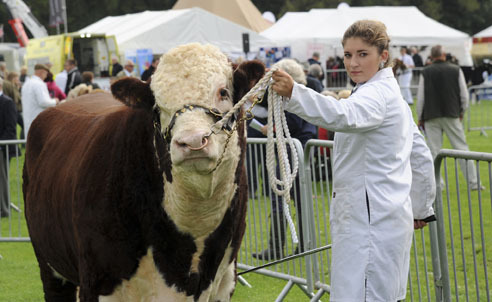 Contrary to some reports Westmorland County Show is going ahead as usual and we are expecting sunshine and good weather on Thursday! All routes to the Showfield are clear, however we have had heavy rain, and therefore politely ask all visitors and exhibitors to take care on approach and whilst parking and to be considerate of others. We have more stewards on the car parks this year and improved gateways. Please follow their guidance when parking and when exiting the car parks. The fields are wet, so please do come prepared. We do have contingency plans in place and will help in every way we can to make sure everyone arriving and exiting the site does so safely. We also have a cycle park and please do consider using alternative modes of transport to the Showfield. We hope to see you all there and are looking forward to a great day!